The legalization of marijuana quickly is affecting more and more landlords, and many have questions. Should landlords ban recreational marijuana? Is it possible to ban medical marijuana? If so, how is it done? Unfortunately, many of these laws are new, and in flux. For example, Michigan passed a law just a week ago that explicitly allows landlords to prohibit both smoking and growing medical marijuana in a rental home. Each state’s legalization framework is different, so there is no one-size-fits-all solution. Why should landlords be concerned about marijuana? Because marijuana in rental properties presents a number of potential problems. Marijuana use, including state-approved medical marijuana, is illegal under federal statutes. So long as this remains the case, a landlord who allows marijuana use or cultivation at a rental property is breaking the law. Landlords who are tolerant have difficulty monitoring individual tenants, and there have been a number of cases reported where those tenants have exceeded the authority of both federal and state laws. While it is rare for the federal government to prosecute marijuana cases, a handful of landlords have been convicted as accessories. Some have suffered fines, imprisonment or forfeiture actions against the rental property. Colorado, at the forefront of legalization of recreational marijuana, saw a disturbing spike in apartment fires. These fires were caused by tenants attempting to condense the marijuana into a popular concentrated form using butane. Landlords have experienced property damage from tenants growing marijuana plants. This ranges from flooding due to overwatering to retrofitting pipes and electrical systems within the unit. Another related cost is a sudden spike in water, heat or electricity in units where the landlord pays utilities. Recovering a unit is more time-consuming and costly when the former tenant has smoked marijuana, similar to units of tobacco smokers. There are some businesses that take advantage of the popularity of marijuana. A number of bars and even some hotels now offer a safe place for patrons to use marijuana in public. It stands to reason that some private landlords may experiment with a policy of tolerance in order to attract this pool of rental applicants. Because legalization is so new, there simply is no statistical data on whether advertising to marijuana users is a good business strategy for rental property owners. However, landlords considering this policy must keep in mind that it likely violates federal law, and could place the landlord at risk for prosecution. In order to obtain a prescription, the applicant typically must be diagnosed with some persistent medical condition. That condition likely would meet the definition of a disability under anti-discrimination laws like the Fair Housing Act. However, marijuana use, including “medical” marijuana, remains illegal under the federal law, and fair housing officials have yet to take an opposing position. Disputes that are likely to arise with medical marijuana will center on second-hand smoke, and smells, damage or security risks caused by cultivation. If a tenant were to obtain other forms, like oils or edibles, it is less likely these problems would occur. It is extremely important for landlords to recognize that they still are dealing with a tenant who may have a disability as that is defined under the Fair Housing Act. So, for example, it would not be a good policy to reject a rental applicant because the person uses medical marijuana to treat a disability. It may be better to simply inform the applicant that smoking marijuana or growing plants is not allowed on the property, and give the applicant the opportunity to decide whether to pursue the vacancy. Note, however, that state laws differ, so you need to know your rights and responsibilities before you speak to any rental applicants. Past drug addiction also is protected under anti-discrimination statutes, and is not a topic that should be explored during tenant screening. There are a number of strategies that landlords employ to prohibit marijuana use. It is helpful to remember the reasons why the landlord wants to regulate marijuana — for instance, to minimize tenant complaints, to minimize property damage, to reduce crime, and so on. The most encompassing strategy is to prohibit marijuana possession and use because it is illegal under federal law. Most state legalization statutes apply only to tenants over the age of 21. Those landlords who manage student rentals and typically deal with younger tenants, would want to ban marijuana use even under the state’s statutes. Marijuana use or cultivation may be viewed as a disturbance which violates other tenants’ quiet enjoyment. Pot smoke may violate the landlord’s smoke-free housing rules. Smoking bans are in place in part because smoking increases the risk of fire. Smoking units cost more to maintain and recover. Because eviction courts can be sympathetic to tenants, it is important to link the use of marijuana to potential for income loss — federal government penalties, tenant complaints, increased cost to recover units, liabilty for fires and so on. It may not be enough to prohibit marijuana simply because it is unappealing to the landlord or the landlord finds the practice immoral. Generally, the state legalization rules allow landlords to prohibit marijuana smoking or growing by placing a prohibition in the lease agreement. 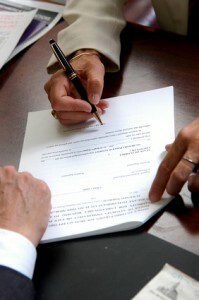 Under rules of contract law, the language must be included when the tenant signs the lease. An addendum added later may not be enforceable against current tenants. Whether using an addendum or simply modifying the lease language, it is important to have the new provisions reviewed by a local landlord attorney. 1. 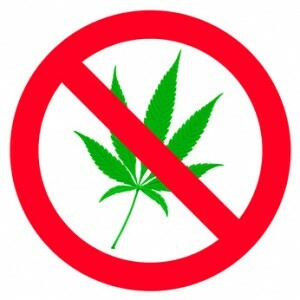 Add a marijuana prohibition to an existing smoking ban, or instance, “No tobacco or cannabis smoking, including medical marijuana, is permitted inside the Premises or in Common Areas.” Because cigarette smoking causes many of the same problems as marijuana use, it’s possible those issues are already addressed in the lease. But be careful. Other provisions like anti-crime rules and eviction provisions may need to be updated at the same time. 2. Create a separate (and new) lease provision that prohibits cannabis smoking or cultivation. This provision must track other language in the lease, so a thorough review is necessary to avoid conflicting language. For example, if tenants are held to a strict policy of marijuana, but are allowed a written warning for other lease violations, the marijuana clause may be more difficult to enforce. 3. Include a Marijuana Addendum. Typically, this addendum will be a separate page and includes all provisions regarding marijuana. This can be the most effective option because it may be the easiest way for tenants to understand their obligations. Also, an addendum typically is signed by a tenant, and key provisions initialed, which serve to emphasize the rules. A reference incorporating the language into the lease. Statements explaining why marijuana is prohibited, including its illegality under federal law, the likelihood of triggering complaints, the fact that the property is subject to a smoking ban, and so on. The document will list the behavior that’s prohibited, such as marijuana possession, cultivation, and smoking. An addendum will spell out the penalties for violating the policy. It’s important to review the entire lease in light of the new addendum to avoid conflicting language. While it is possible to find a sample Marijuana Addendum online, landlords must keep in mind that such forms are instructional only. DO NOT copy online forms and insert them into your lease. Each example you find will be tailored to a specific state, most likely Colorado or Washington. The rules may not apply in your state, and there is no way to know if you are choosing a good example. Regardless of the method you and your attorney apply to modify the lease, the critical focus should be on explaining the rules to the tenants. A lease is not only about enforcement, it’s also about compliance. If tenants never break the rules, there will never be a need to enforce the lease in court.